Isn’t this neat? Why not make a Gingerbread creation based on your favorite TV show? 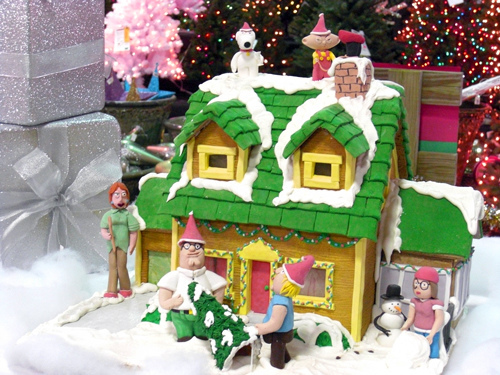 Here we have a Gingerbread House based on the cartoon TV show Family Guy, a Family Guy Christmas. Fun!